Chinle Digital Books are a professional grade do-it-yourself solution for creating one of a kind books for portfolios, editions, wedding albums, seniors, and even digital scrap-booking. Chinle Ice Nine was inspired by the stunning frozen waterfalls and ice formations found in Moab's La Sal mountains. 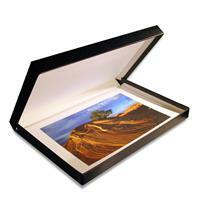 Created by the award-winning designers at Lost Luggage, Chinle Ice Nine Portfolios allow you to create professional looking albums at a monumental value. Lost Luggage's trademarked hinge design and expandable screw post system allow you to quickly and painlessly let you take your work from printer to portfolio. 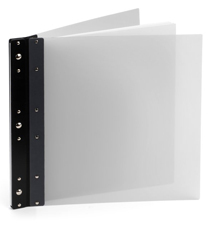 You can also easily remove or add pages without investing additional time and cost.